The Banquet opened in 2010 and is located alongside the Shibo Avenue (lit. : Expo Avenue) at the third floor of a former distillery, which is an amazing relic of the district’s industrial past. The building also occupies BLN Restaurants & Caterings’ Paulaner Bräuhaus Shanghai @ Expo at the first and second floors as well as Ambrosia Teppanyaki @ Expo at the fourth floor. 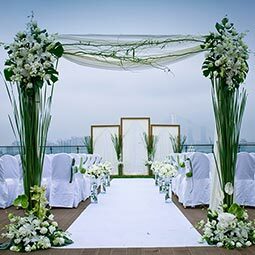 In addition to The Banquet, the property boasts one of the most spectacular rooftop gardens in Shanghai with sweeping views of the Puxi and Lujiazui skylines as well as the placid Huangpu and former 2010 Shanghai World Expo grounds. 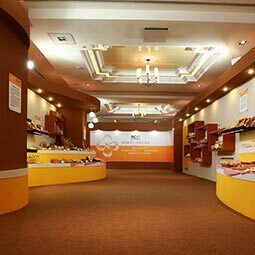 The multifunction banquet hall is able to host events for up to 300 guests. It offers a spacious function room that can be divided and set up for different sized occasions. The Banquet is also offering technical equipments and a portable stage. The Banquet and our rooftop terrace are a perfect location for an unforgettable event, no matter if a corporate party, a product launch or weddings.